Linking up today with the DC Trifecta ladies Mar, Courtney, and Cynthia for this week’s Friday Five. Thanks for hosting!! I’ve been doing a lot of this lately, spectating, and I have been having a blast! Before I begin, last Saturday I was the official spectator for my blogging buddy, Hailey@StridingStrong at a local 5k. She’s pure awesomeness. I hadn’t met Hailey “in real life” but we’ve chatted quite a few times in the past year trying our best to get together. We live in the same freaking city! But, we kept missing each other. Until last weekend. She told me she’d signed for this 5k. This was big news as Hailey doesn’t race often–not like someone else I know (Oh Helly…). I shockingly hadn’t signed up and figured this would be the perfect chance for me to meet her and see her run!! She’s tiny, soft-spoken, (gorgeous), and just the sweetest person ever. BUT, holy wowzers can this girl run!!! Hailey is probably one of the nicest people I’ve ever met yet there is a fierce strength about her. 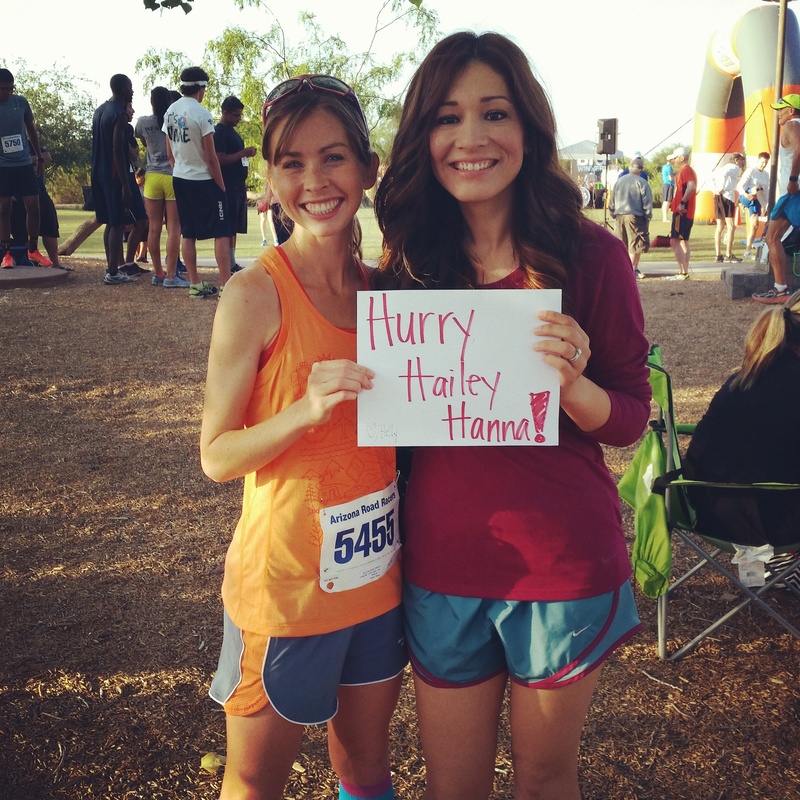 The Hailey I spoke with pre-race and the Hailey that toed the start line were two different girls. I was able to snap pictures of her before and after that caught this transformation. Don’t let the beautiful smile fool you–that girl is fierce! Like I mentioned, not participating in the race let me see it and the runners in a different light. These weren’t people I was running against, these were people I was admiring, studying, revering. I spoke with Hailey pre-race and she said she was nervous. I definitely get the pre-race jitters too but seeing her, someone who does what she does very, very well, nervous reminded me that fast people are human too. Just because they’re good at what they do doesn’t mean they don’t experience anxiety. Since I wasn’t getting ready to start a race, I was really able to see the different emotions on the runners as they began the race. From the ones who were at the very front, fierce and determined, to the ones starting from the back, at ease and jovial–it was really cool to watch. I got to meet Hailey’s family–her brother drove an hour to see her run and her mom had been at the same race the year before. I liked that because I wasn’t participating, I was able to see the support group, the people who motivate Hailey. Same thing with the rest of the crowd. I knew I didn’t have much time to mingle. Hailey would be back under 20 for sure. But I chatted with some of the race volunteers, other spectators who were watching their sisters, moms, co-workers. I would likely never see these people again, but for that morning, we had something in common. There was no goal time for me except making sure I was at the finish to see Hailey cross. The thing about spectating that is probably the most enjoyable (for me anyway) is that there is no pressure looming. I’m simply there to support. Of course, if the race doesn’t go well for whomever it is your supporting, there’s slight pressure in making sure they’re okay, that you do the best you can to comfort. But there is no feeling of frustration in not having met a goal. Hailey crossed the finish line in 17:55, meeting her goal of sub 18 and 5 seconds away from her 5k PR she’d set in college. First female overall. I had to make Hailey a sign. I mean, I just had to. And the English teacher in me had to take advantage of Hailey’s name. Students, what is my sign an example of? Every time I run a race, one of my favorite things to do is read the signs of the spectators. They’re so many good ones!! I don’t know about you, but I’m always thankful of those who take the time to make them. They help out more than I think spectators know. Free fun. Free inspiration. Free motivation. Free learning. Free experience. So much you take away–all for free. 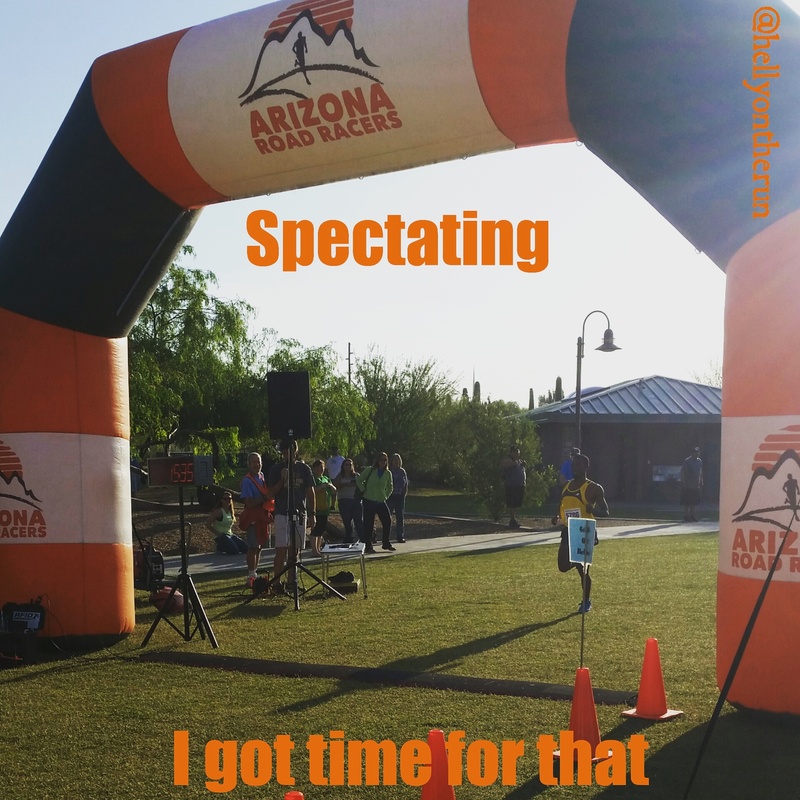 –Do you enjoy spectating races? What’s your favorite thing? 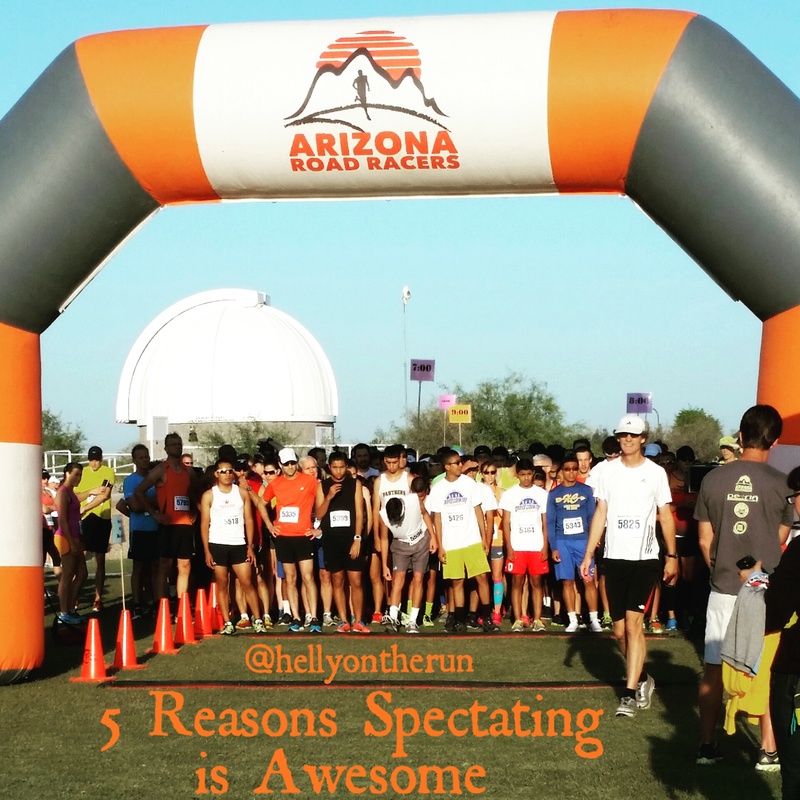 –What do you notice/enjoy about spectators while you’re running? If you didn’t already know, I’m a high school English teacher by day. Today is the last day of school and it’s always bittersweet. By this time, I’m anxious for the break but I’m also always sad to see students go. I teach freshmen, sophomores (and some years, juniors) so there’s times when I’ll have a student multiple years. Inevitably, I connect with some and seeing them grow, mature, and develop into young adults makes me so emotionally come graduation. They’re leaving. And I don’t know if I’ll ever see them again. There’s nothing you can really say to an 18 year old about what awaits them. Life is something you just experience on your own. I worry about the struggles they’ll face, but I’m always hopeful that they’ll stick to what’s right and remember that there’s people that care for them. That’s what I try to instill in my students. People care about them. And the choices they make not only affect them, but those around them, those that care about them. Every time my students leave my classroom, I yell out a “Be safe!” They tell me that that is something they remember about me, me constantly telling them to be safe. It makes them feel cared for. This particular class is special to me. There were a couple of students that I had their freshman and sophomore year and who were my teacher’s assistant their senior year. I’ve become close to them and I’m sad to see them go. Whenever I do have students that I grow particular close with, I always tell them to stay in touch and some do, most don’t. This year I was pinky-sweared and promised that they’d let me know how they’re doing as they embark on their new adventures–one to the Marines, one to an east coast college to play baseball, and another to our state university. I’m lucky enough to have many, many memories that will stay with me forever and before the seniors left, they managed to leave me (and the rest of their teachers) one more positive memory by way of their senior prank. Instead of doing something immature or detrimental to themselves or the school, they decided to have some fun while helping the community. Outside my room down my hall, a large group of seniors gathered in front of the balcony and proceeded to take off their shoes and throw them to the seniors who had gathered below. They in turn also took off their shoes and it wasn’t too long before we saw shoes everywhere! At first, we weren’t sure what was going on or what the meaning of the prank was but then the seniors explained. They were donating all the shoes to a local homeless shelter! The story even made our local news! I love my job and I love my school. 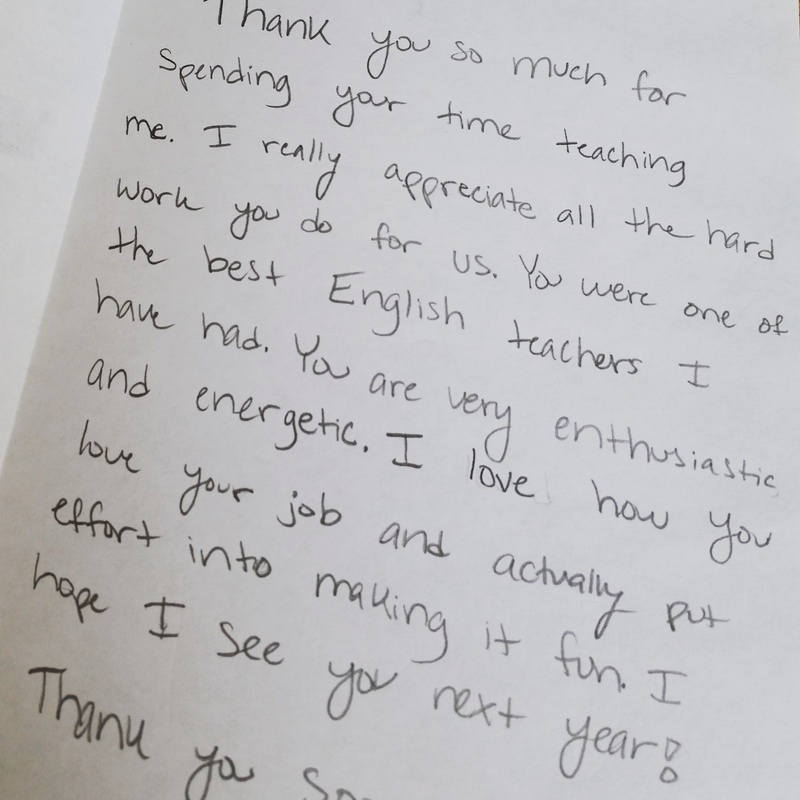 Like any job, there are tough days, but moments like the senior prank and occasional notes of thanks make it so, so worth it. –Do you have a teacher that you fondly remember? 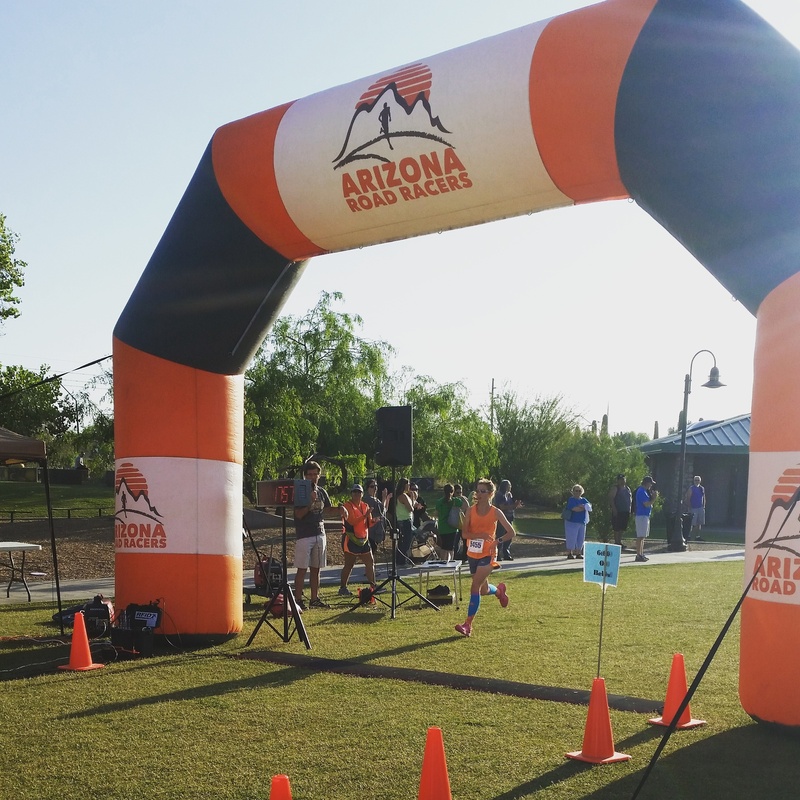 Hope Run 5k Recap and Why Local Races Rock! I mentioned in my last post how this past weekend was extraordinarily awesome 😀 Well, Saturday was an epic meet-up between two of my fave running groups and Sunday, my husband ran a 5k! I absolutely love that my husband likes running and seeing him is a lot of the times more fun than me running lol! 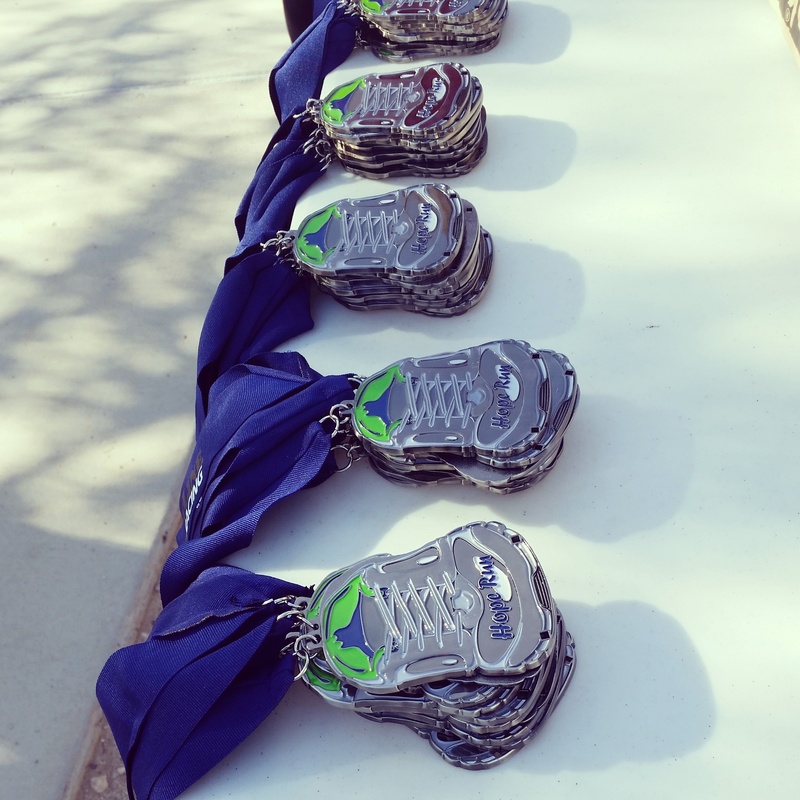 The Hope Run 5k is a local race where proceeds went to Save the Children and American Association for Lost Children. This is a huuuuge reason why I love running local. I like knowing that while I’m doing something I love, others are benefitting. For a smaller, local race, they definitely didn’t skimp out on anything. 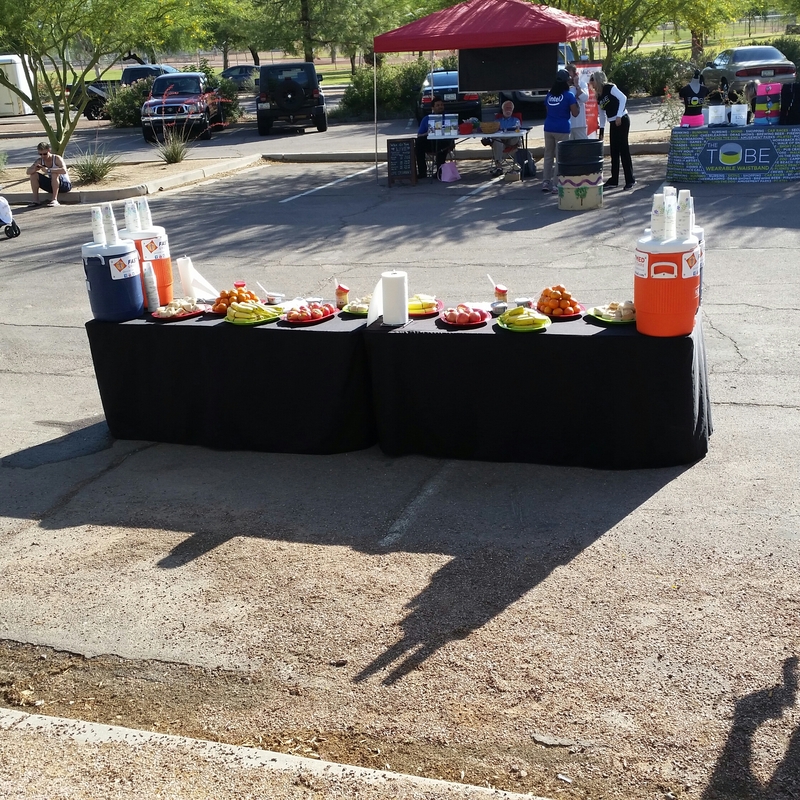 Racers received a finisher’s medal AND t-shirt, the race offered age group awards not just overall, and they had a pretty sweet breakfast table set-up. The 10k runners began the show and ten minutes later, the 5Kers lined up. My husband had signed up for the 5k and we made our way to the front to get a good starting position. We chatted for a few minutes and then he was off! that’s him on the left!! 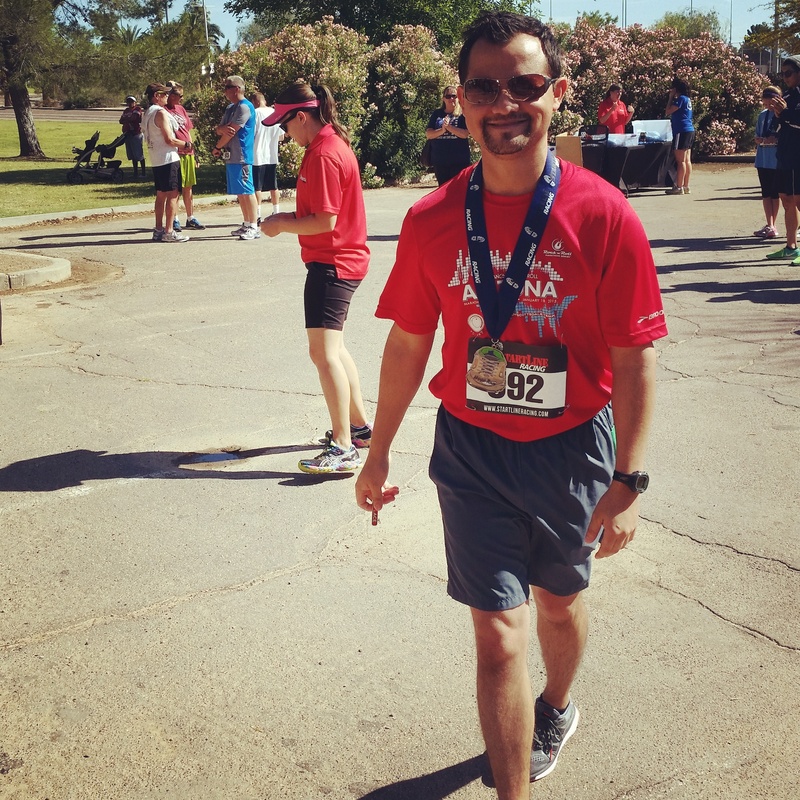 I knew that his goal was to PR–his previous 5k best was 21:07 and he really wanted to see 20. His ultimate goal is to see a teen but knows that’s a work in progress. Anyway, I hung out and visited a few of the vendors that were at the race. It wasn’t too long though before I saw the first place guy approaching. He. was. running. One of the things I love about spectating races is that I get to see the race from such a different perspective. I would never be around the people who finish first and to see them cross the line is just super cool. 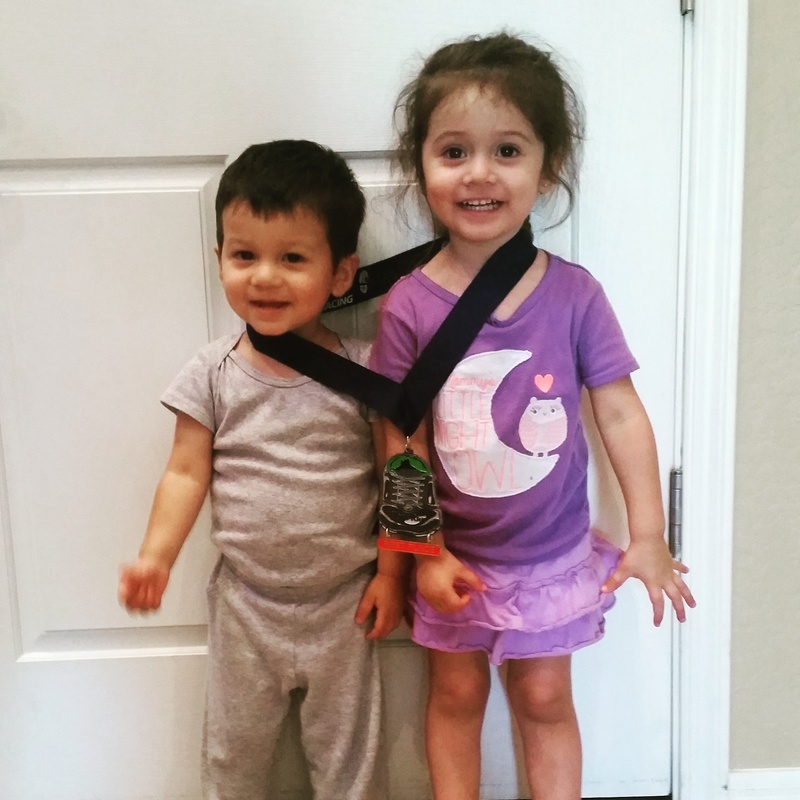 He crossed, grabbed his medal, and then made his way to me. Sure enough, there he was!!! I could tell that he was giving it all he had as I’d never seen him finish with that much resolve. I positioned myself to get a good finisher’s pic and as I was waiting, I saw the first place guy walk up to the finish line. As my husband ran through, the first place guy reached out his hand to high five my husband. The running community is amazing. I couldn’t believe he’d gotten second place and ran so well finishing in 20:47!!! A new PR!!! And you know what he said to me when I told him his time? We chatted with the first place guy for a while. He and my husband talked about how the course had a quite a few loop de loops that made it a little confusing. He was 20 and had ran cross country in high school. He said he preferred longer distances but runs 5Ks for fun. LOL. The awards weren’t too long after and it turned out that my husband was able to get the first place medal for his age group and the second place overall award. Usually, I’ve seen races only give one if you’re the winner for both. The age group award is pretty sweet. It’s a small first place plaque that hangs off the main medal. For the second place finish, he won a $15 certificate to Road ID–score!!! 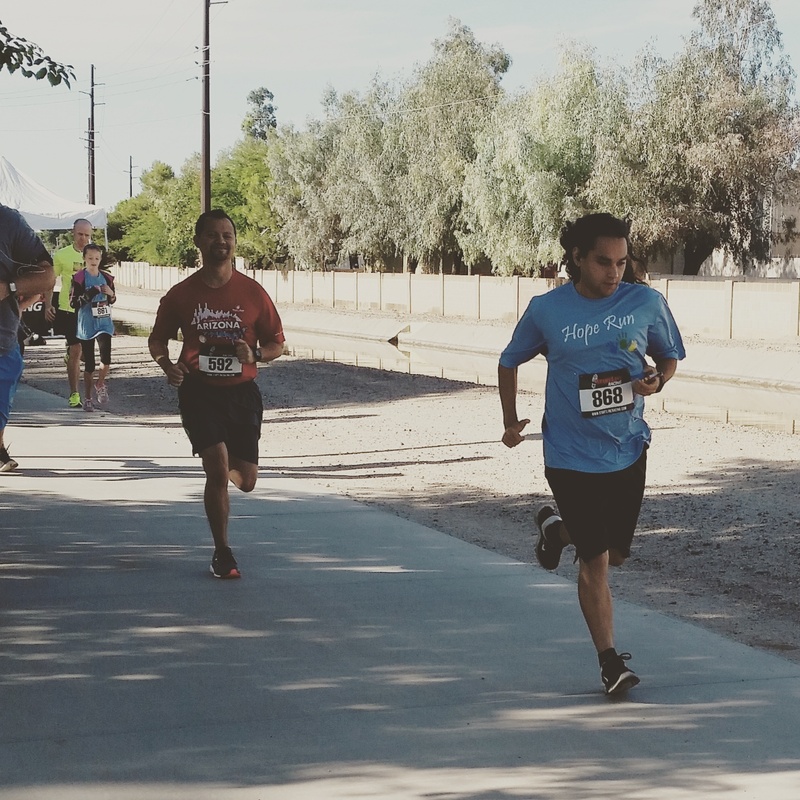 The Hope Run 5k was just another race that solidified why I like running local. 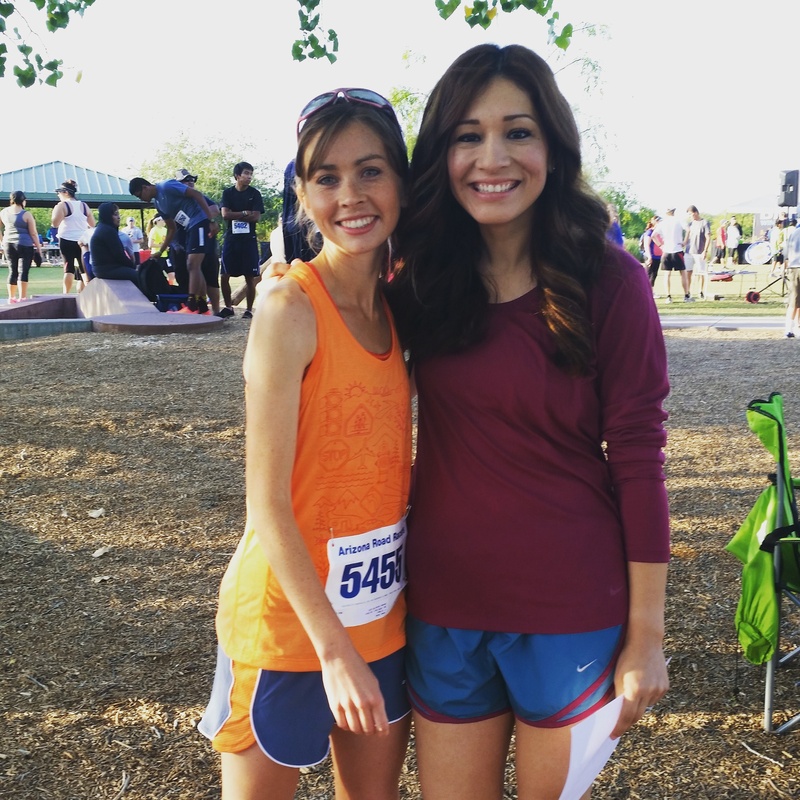 I get to meet and support people in my community and the race proceeds go to great causes. 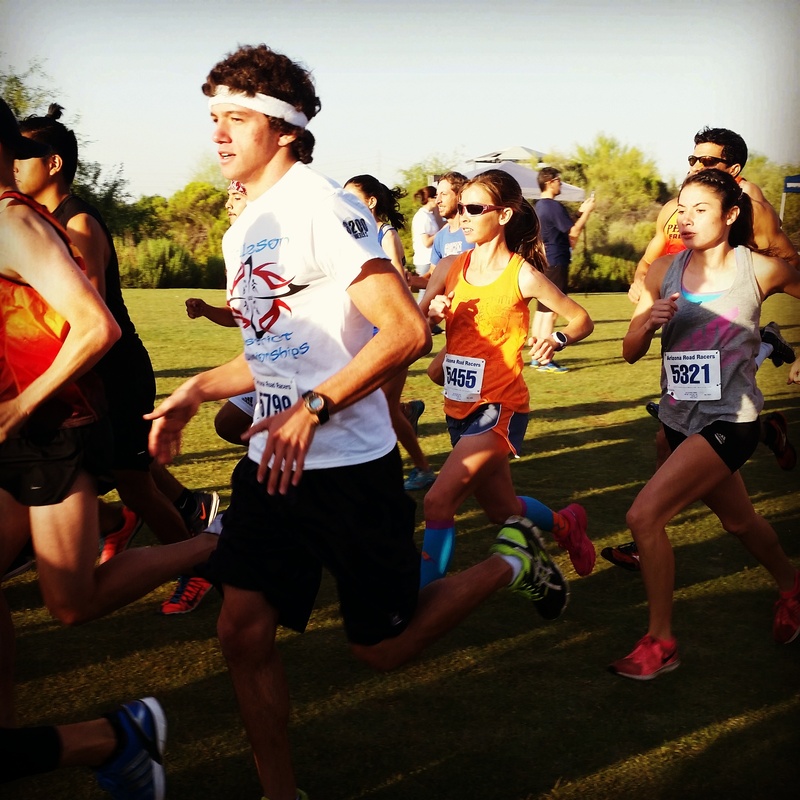 Last month, I ran another local race, Run3rd 5k, where I got to meet Sean Astin. It was the race where I thought I had placed in my age group only to find as I was walking up to the podium that someone else had won. Remember? Well the race director read my race review and contacted me to let me know what had happened! She said there was an issue with two racers whose bibs conflicted with the timing chips. They had to manually fix their times and one of them finished 3rd overall bumping the girl into placing in their age group instead–mine. And the girl who started 2o minutes super duper late? It turns out she started about 5 minutes after (which to a runner feels like eternity right? ha!). I hope everyone is having a good week so far!! 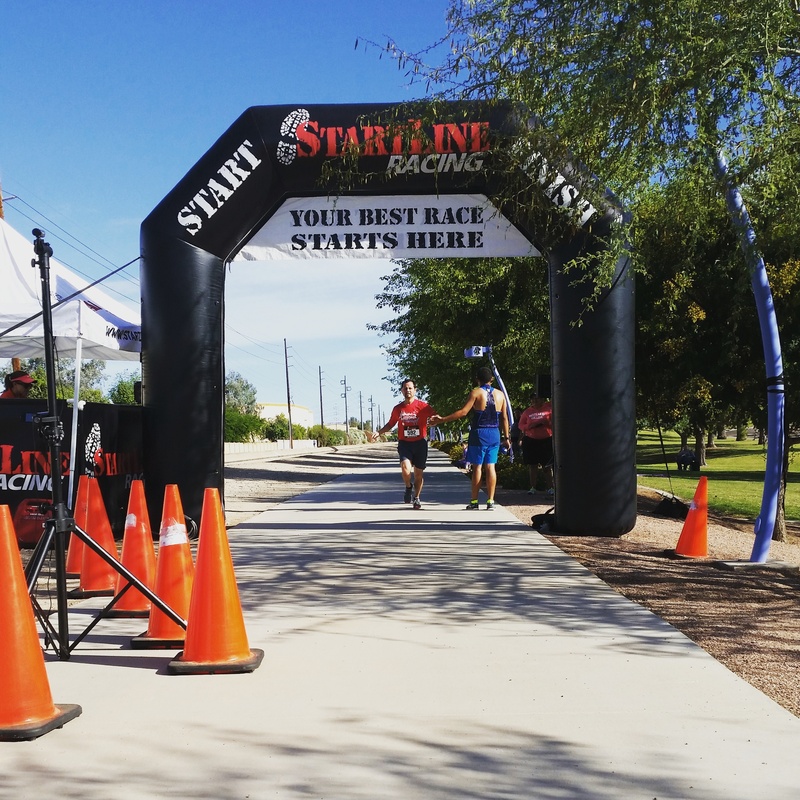 –Do you like running local races or bigger races? –Ever won a race? or came close?